Washington D.C. [USA], Feb 20 (ANI): American actor Gwyneth Paltrow reflected upon her working relationship with film producer Harvey Weinstein. Washington D.C. [USA], Dec 15 (ANI): A new lawsuit has been filed against American film producer Harvey Weinstein on Friday (local time) by an actress who claims that he repeatedly assaulted her. Washington DC, [USA] Nov 29 (ANI): A documentary on the life of Hollywood Producer Harvey Weinstein will be aired in the upcoming Sundance Film Festival. New York, [USA] Nov 26 (ANI): New York's Manhattan district attorney has dropped a financial crime case against Hollywood producer, Harvey Weinstein in connection with settling his sexual assault victims. Washington DC, [USA] Nov 01 (ANI): In a fresh sexual assault complaint against Harvey Weinstein, an aspiring actor has accused the filmmaker of sexually assaulting her when she was 16-year-old. Washington, DC, [USA] Oct 31 (ANI): Priyanka Chopra has come out in support of her longtime friend and designer Georgina Chapman, who recently divorced disgraced movie mogul Harvey Weinstein, after he was accused of sexual misconduct. Washington DC, [USA] Oct 24 (ANI): In an effort to settle more than a dozen civil suits, Hollywood producer Harvey Weinstein's legal representatives are currently in negotiation with several women who have accused him of sexual misconduct. Washington DC, [USA] Oct 22 (ANI): Hollywood producer Harvey Weinstein, who was charged with multiple sexual assault charges, left his infamous couch. New Delhi [India], Oct 8 (ANI): Union Minister for Women and Child Development, Maneka Gandhi on Monday said she is happy that #MeToo movement has started in India. 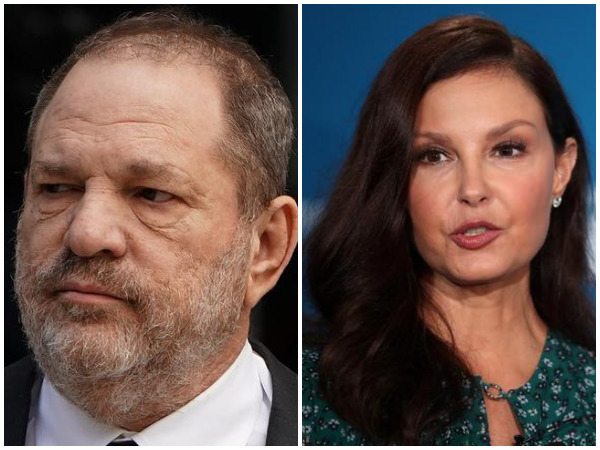 Washington DC, [USA] Sep 21 (ANI): American actor Ashley Judd has been allowed by a judge to pursue her allegations against director Harvey Weinstein, who was accused of blackballing the former after she had allegedly refused a sexual favour.